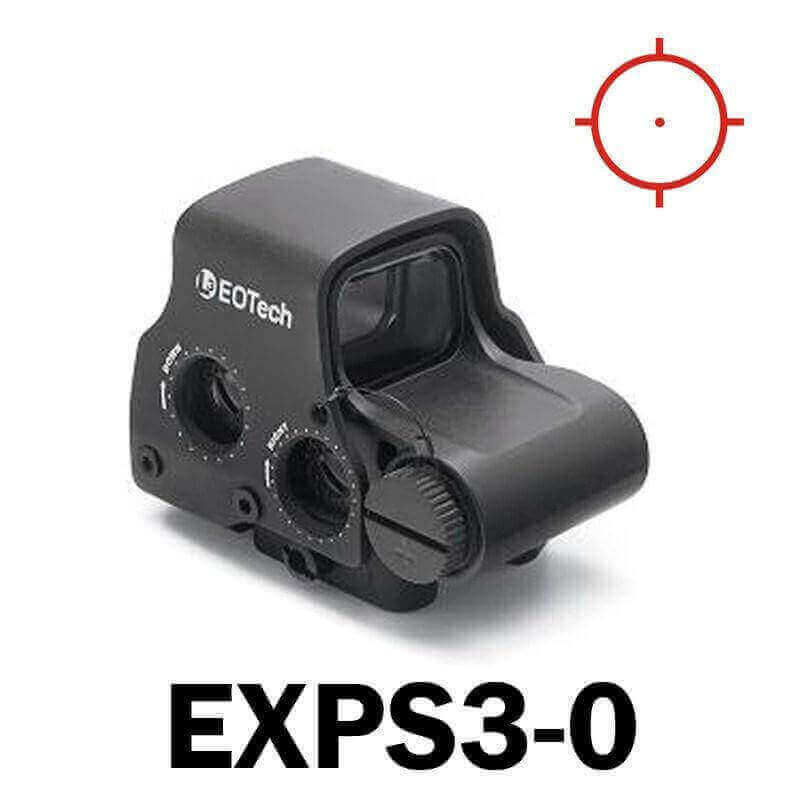 Eotech has done it again by making the best even better in the EXPS3 series. Offering true 2 eyes open shooting, a transversely mounted lithium 123 battery, and 7 mm raised base offering iron sight access, the new Extreme-XPS (EXPS) features easy to adjust side buttons and an adjustable, locking, quick detach lever for easy attachment and removal. And of course, EOTech’s classic 65MOA circle with 1 MOA aiming dot. Provides lower 1/3 cowitness with AR-15 iron sights. For absolute cowitness, see the XPS line of sights.